• Browse your computer to find and select the file you wish to print. • Click the green print icon. You will see the status of your print job and a reference number. • Go to the front desk at the library to pick up your documents. • Visit your device’s ‘store’ for apps, install and launch the PrinterOn App. • Click “No printer selected”. 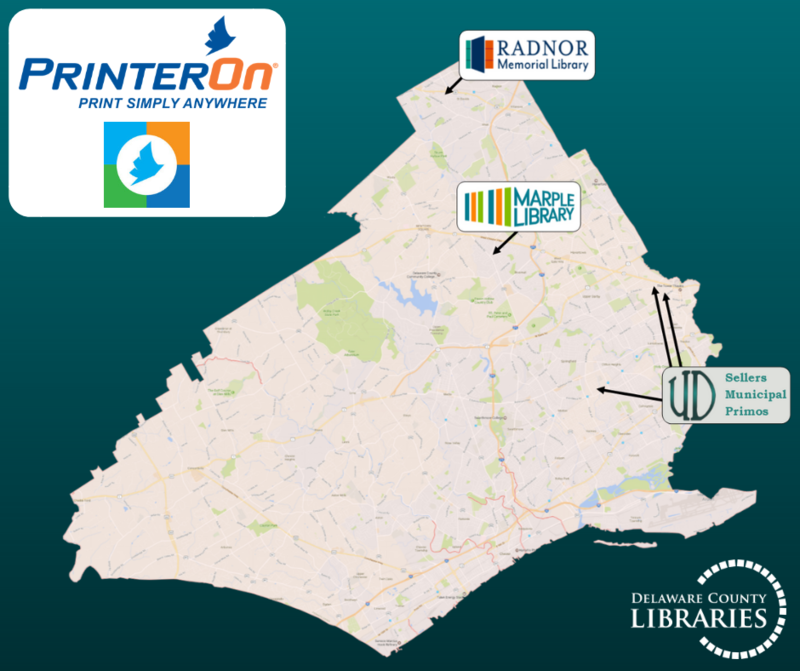 • Find the library and click Black and White or Color Printer and save. ◦ Documents: when viewing the document, click in the upper right corner and upload the document to the PrinterOn App. ◦ Photos from your phone: open the app, click on “photo” and select a photo to print. ◦ Select the printer and click the print icon. ◦ Enter an email address and click on the check mark (you will receive a notice that the job started, and shortly after another message stating “Job Success”). ◦ Go to the front desk at the library to pick up your documents. • Email from any device directly to the library’s print system at marple-bw@printspots.com for Black and White, or marple-color@printspots.com for color. • Go to the Print Release Station near the Circulation Desk at RML, look for the e-mail address you supplied to release your print. You will see two jobs – one with the subject line of your email and one with the name of the attachment. You may select one or both to print. • Pay for your job and it will be sent to the printer.